Boat Covers | CUSTOM INTERIORS & CANVAS, INC.
A custom designed fitted cover from Custom Interiors & Canvas will protect your boat from the damaging elements of sun and standing water. 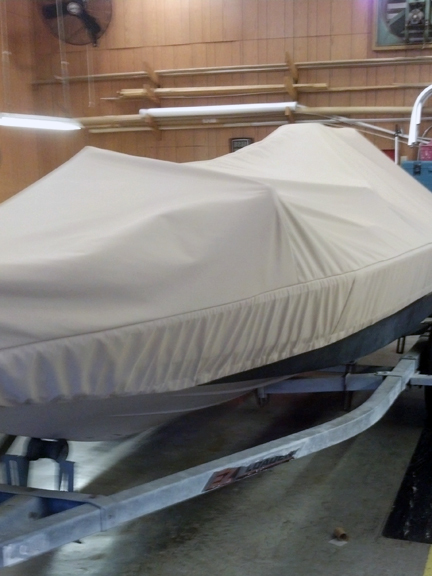 As boaters ourselves, we strive to make protecting your investment as quick and easy as possible. Snap On Covers: Using existing or newly installed snaps these covers are fit to satisfy your needs. Some covers can be designed with a zipper across the center to make them even easier to handle. Mooring poles are preset and numbered for no more crawling. Fitted collars are placed around Bimini openings as they are needed. Ratchet Covers: Featuring the newest proven method to fasten travel covers – a ratchet system that eliminates drawstrings, bungee cords & tie downs and eliminates strains caused by tightening the cover. 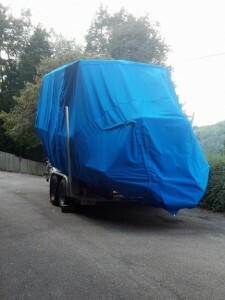 It also eliminates the need to use bungee cords, which can be dangerous. 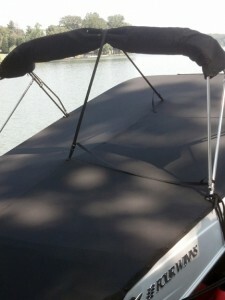 Our ratchet mechanism comes in a zipper pouch to keep it from touching your boat. Weather Covers: Providing protection for furniture without having to remove the entire cover every time your boat is used. SolarFix Thread – made of 100% PTFE (PolyTetraFlouroEthylene) fiber; extremely resistant to UV rays, mildew & chemical exposure. 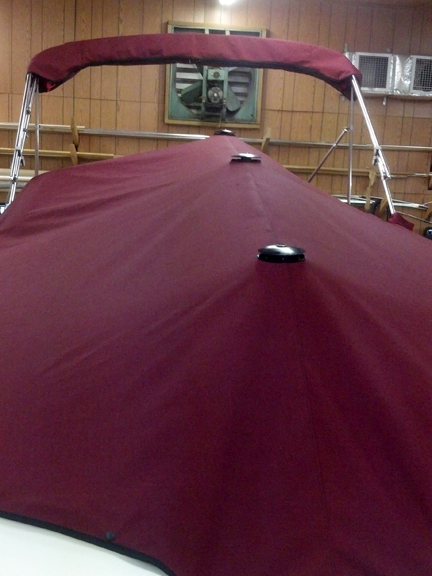 Taylor Made BoatVent II – allowing proper ventilation to prevent growth of mildew and fungus. Mooring Poles – locking poles made with 100% anodized aluminum with stainless steel components. Zippers – UV treated zippers with metal locking pulls. Top Snapper – a handy snapping tool made of marine-grade stainless steel with an easy to grip rubberized handle.